OneKind is delighted to have teamed up with visual artist and vegan/animal rights activist Kate Louise Powell to offer a OneKind exclusive digital print. Specially designed for OneKind, Kate has created this thought provoking hare artwork, inspired by Robert Burns’s ‘The Wounded Hare‘ and our own Mountain Hare campaign. 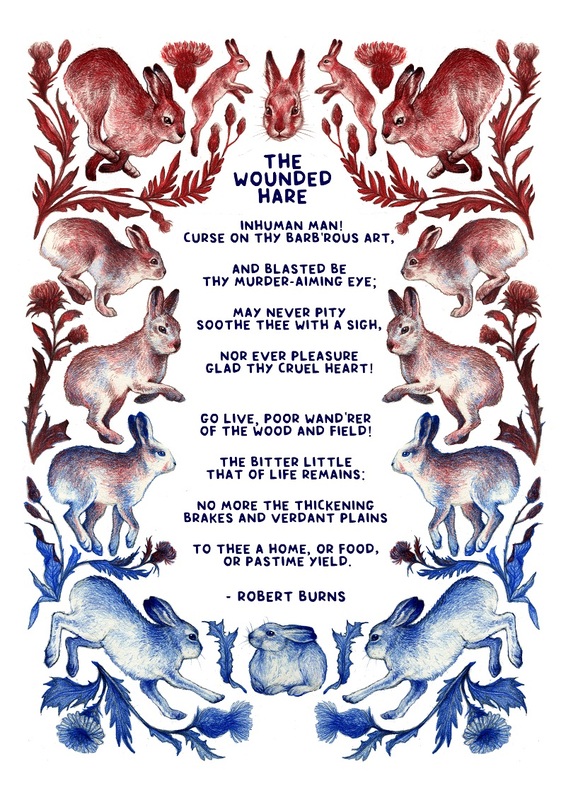 The print contains the first two verses of Burns’s famous poem, with the aim of creating awareness and celebrating Burns’s empathy towards the hare.